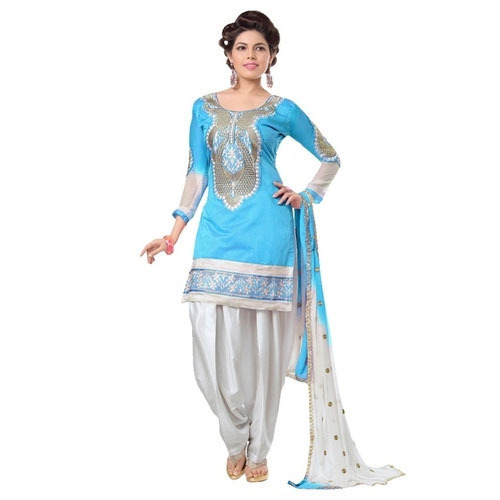 We are highly acclaimed in this industry for providing an optimum quality range of Fancy Salwar Suit. Established in the year 2015 at Surat (Gujarat, India), we “Varsha Silk Mills” are engaged in manufacturing a wide assortment of Dyed Fabric, Cotton Fabric, Printed Fabric, Silk Satin Fabric, Polyester Fabric, Georgette Fabric, and Salwar Suit. These fabrics are widely appreciated among our clients for the optimum finish, tear resistance, elegant design, etc. Under the guidance of “Mr. Bhagirath Tawari” , we have been able to satisfy the emerging requirements of clients in an effectual manner.